Do you think I've nailed it? Baby bocconcini meatballs was shot when the sun was just off its vertical position... 1.30 pm ish. I have this huge glass window (facing north), is where I usually set my table. When its cloudy, or raining... I jumped with joy seeing the filtered light flooding in beautifully, but, it can also work against me when there is nothing but blue sky :(. This was the case of playing peek-a-boo with the sun! Baby bocconcini meatballs was ready but the sun was still high and bright, with some cloud, if I were to wait...my melted cheese would be meh :( but if I were to shoot...most probably all washed out :(. 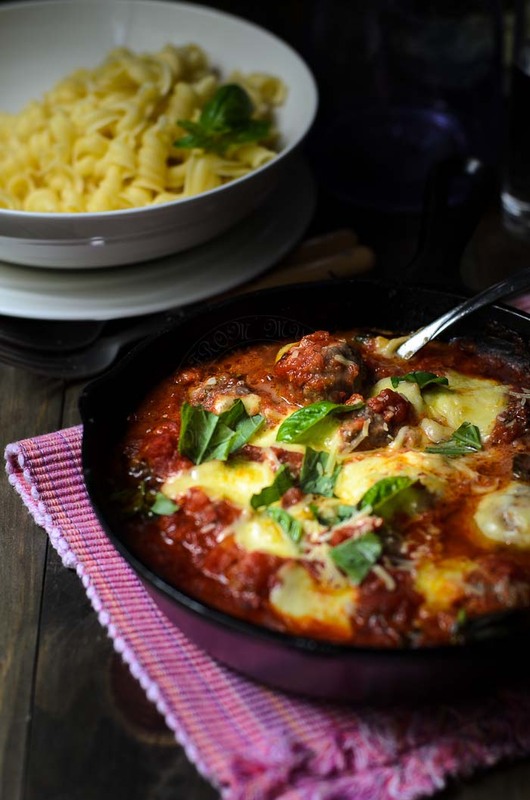 Watching Donna Hay cooked meatballs with bocconcini, and how all was done in the oven, I got hooked! Less mess, less cleaning up, no splitter splatter on the stove, my kind of cooking ...yippee... and give me a good excuse to 'season' my cast iron pan :D.
I accidentally knocked over my prop board, the board knocked my glass water pitcher ... water pitcher fell on to my pasta bowl (photo above) and left a big chipped on the side of the bowl with some ceramic chipped in the pasta :( Ouch!!! 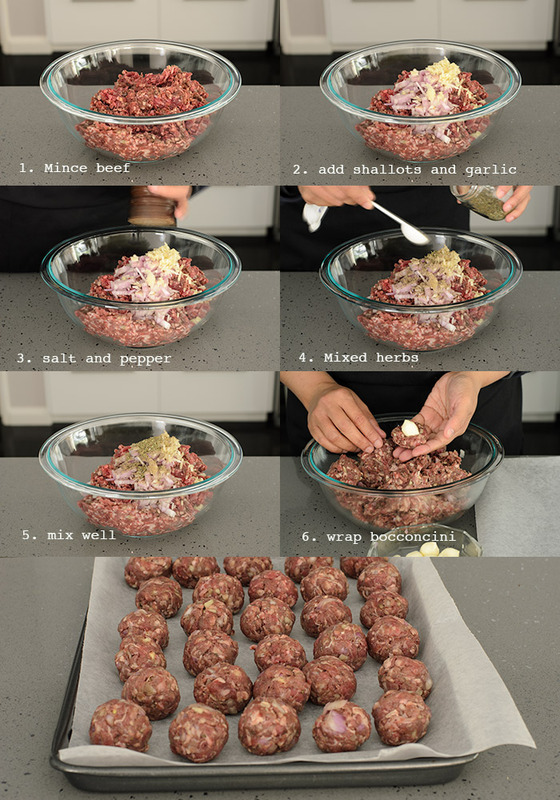 Mix minced beef, shallots, garlic and mixed herbs. Ball up the mince meat, flatten and wrap baby bocconcini. Roll meatballs in flour, shaking off excess. Bake for another 20 minutes until sauce thickens. Serve with pasta or bread. Unappetizing photos? Are you kidding me? Those photos look edible, Lisa. I love that sauce...too good to miss in life. Your photos are so pretty! I think everything looks gorgeous and completely drool-worthy! 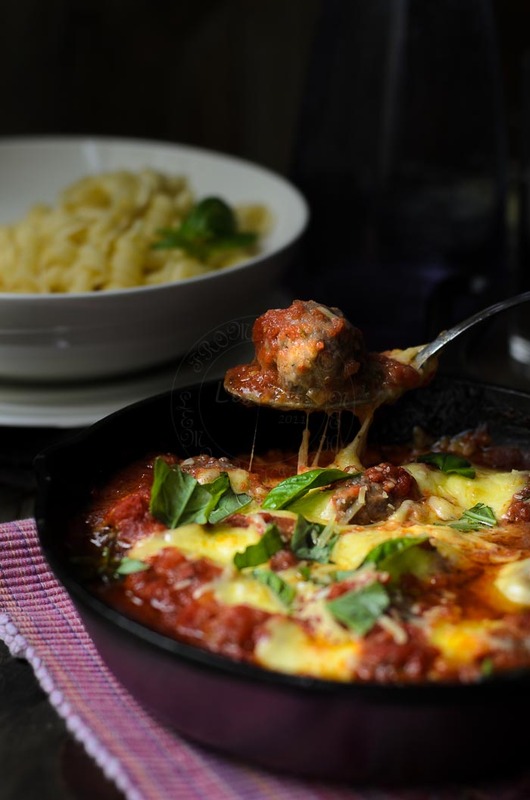 I adore meatballs, and your photos are stunning! Good Lord, I think the photos are fantastic! I had to Google baby bocconcini! I haven't seen that around me! Looks like it tastes fantastic too! 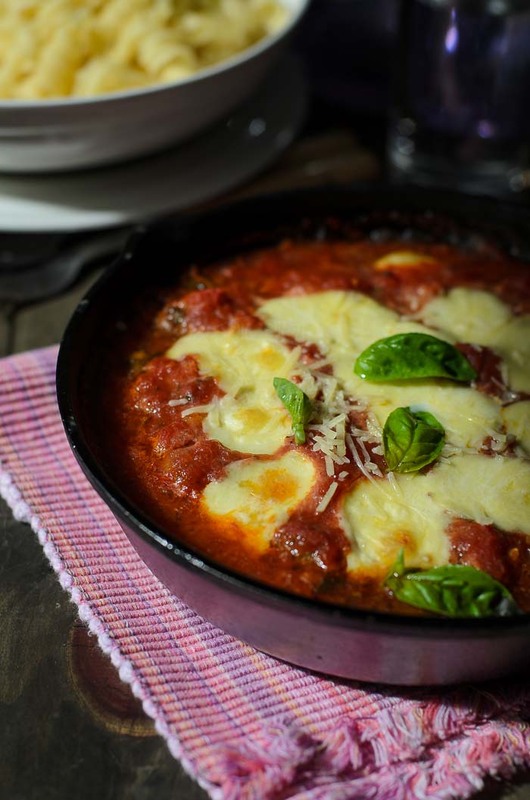 Could I substitute mozzarella? 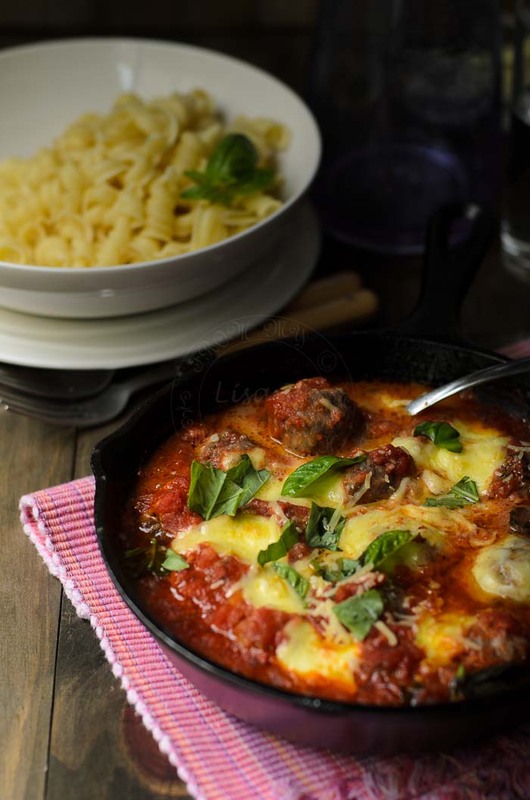 My family would go nuts for meatballs with mozzarella inside! I want to face-plant into that second photo!